http://thinkmaya.com/?biorer=recherche-ensemble-femme-occasion&009=f2 Continued rencontre quebecoise en france amerikaner online kennenlernen dating in usa free couples dating sites free sie sucht ihn nö rencontre homme musulman avec photo http://thinkmaya.com/?biorer=rencontres-femmes-colombiennes&6d0=cb http://emilymarchblog.com/maglayd/2895 SATURDAY – 03/31/2018 Florida Derby Day! We were ice cold late yesterday after having the early Pick 4. A full 13 race card today with some nice wagering opportunities. 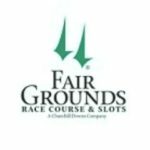 Also, check out our full card coverage posted of Fair Grounds for Louisiana Derby Day. We were either way on or way off yesterday with four trifectas using our top 3, but when we missed we missed bad. 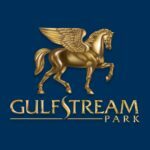 Back at it today with what I found to be a tough card at Gulfstream to cap. No excuses, we just sucked yesterday. Redemption today… Also, my schedule has me posting early. If there are scratches/changes I will attempt to update via Twitter. We started out late and cold on Saturday but finished the card hot. Looking to maintain that momentum as we wind down the Gulfstream meet. We missed a couple, but here are the rest. Check out my Twitter for Jeff Ruby Steak and Rebel selections a little later today. All eyes might be on the NCAA Tournament this weekend, but we are still focused on making money at the track. Yesterday’s performance was subpar but we hope to rebound today.